The right sites can make all the difference. At WCG, we help clients to identify, select, and engage the highest performing investigators for their clinical research trials. Using a combination of proprietary data, technology and expertise, WCG provides clinical teams with predictive and actionable intelligence to support the single most important decision they’ll make on a clinical research trial: which investigators to chose. Reduce the time, cost, and guesswork involved in site selection. Select fewer, better sites for your trial. With access to the largest and most sophisticated investigator database in the industry, WCG offers unparalleled insight into investigator experience and performance. Reduce site burden and increase investigator responsiveness.WCG’s global feasibility specialists maintain relationships with sites in 130 countries, and can help you to improve all aspects of your site interaction, from initial messaging to questionnaire development and follow-up. Improve visibility and promote collaboration. 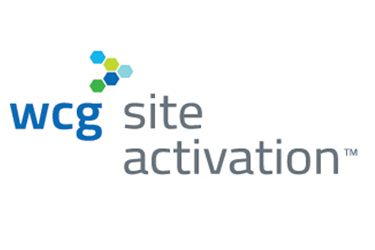 A technology-enabled solution, WCG fosters consistency and eliminates the bias inherent in manual site selection. With real-time, interactive reporting, clients can access response metrics, assess completed questionnaires, and share comments on selection status with team members. Achieve your goals in a shorter timeframe.Because WCG increases the predictability and efficiency of site identification and feasibility, our solution shaves months off of the site selection process.